Add 1-1/2 to 2 cups sugar. Beat 1 to 2 minutes. 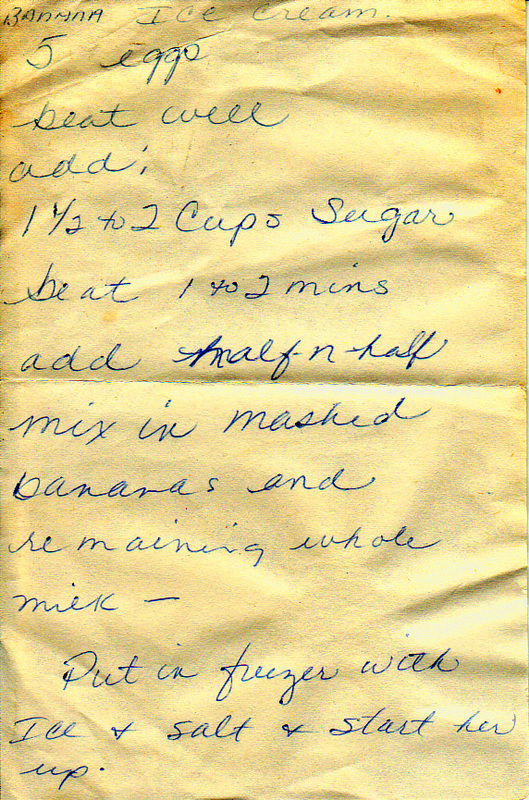 Add half-and-half; mixed in mashed bananas and remaining whole milk. Put in freezer with ice and salt and start her up. Most ice cream freezers will have a one-gallon mark; after you’ve added these ingredients to the container, pour in whole milk until you reach the gallon mark. I’d suggest serving with a salted caramel sauce and chocolate-covered pretzels.